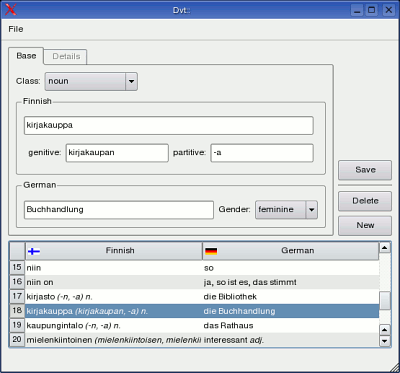 Dvt:: is an extended vocabulary trainer. 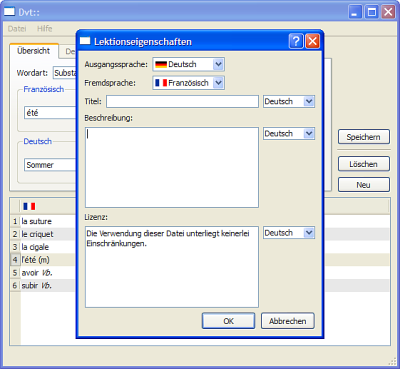 Main focus lies in the support of the different languages' grammer, which means that Dvt:: also takes care of declined nouns/adjectives and conjugated verbs in different tenses. 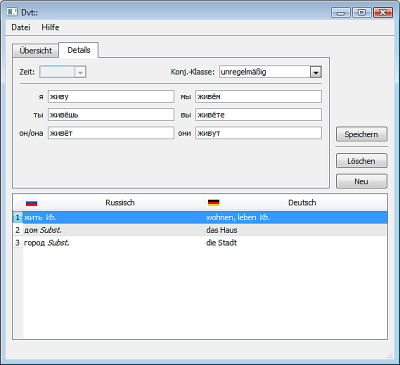 Different languages are supported by language profiles (currently defined in XML files, later editable through a user interface). Where the particularities of a language cannot be sufficiently modeled with these profiles, Dvt:: can be extended directly by C++ classes to keep the user interface as simple as possible. This project is at its early stage, thus, only preview versions with incomplete and even erroneous functionality are available for now.